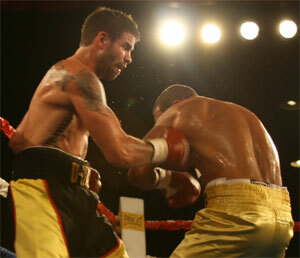 Before Derek Ennis and Gabriel Rosado waged their memorable war at the South Philly Arena on Friday night (07/30/10), a bulging lineup of preliminary bouts featuring many of Philadelphia's most promising young bucks played out for the rowdy, near-sellout crowd. 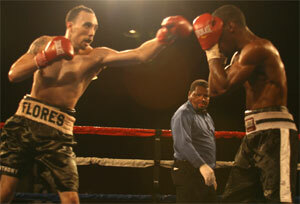 Standouts on the card included the always entertaining Anthony Flores and a new and improved Dennis Hasson. The evening opened with North Philly heavyweight Bryant Jennings and Columbus, Ohio's Bernell Stewart clashing in a four rounder. Undefeated Fred Jenkins protégée, Jennings got off to a slow start. However, he woke up by the end of the first, perhaps thanks to the smacks he received from his 1-1 opponent. 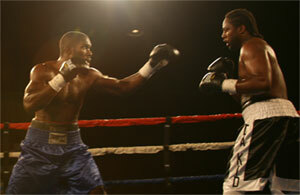 Jennings hurt Bernell twice in the second and assumed control of the fight. He went on to win a unanimous decision (40-36, 40-36 & 39-37), but Stewart stayed in the fight and provided a tough test that Jennings, now 4-0, passed. The referee was Hurley McCall. 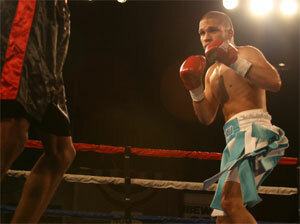 Up second was the impressive North Philly lightweight Angel Ocasio. The former two-time Philly Golden Gloves champ improved his record to 3-0 and scored his first knockout with his second round victory over Sidell Blocker of Pleasantville, NJ. Ocasio dropped Blocker in the second and the bout was abruptly halted by referee Gary Rosato at 1:24 into the round. The bout was scheduled for four rounds. Ocasio, 20, sees action again at the same arena in two weeks. 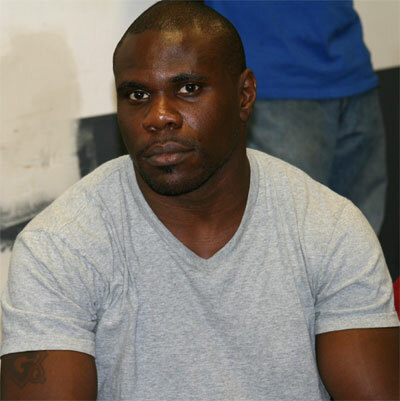 Pooh Ennis' younger brother, Farah Ennis blasted out 48-bout pro Demetrius Davis at :27 of the third round, after abusing the Washington, DC journeyman in the first two rounds of their scheduled six round super middleweight bout. Ennis dropped Davis with a hard left hand and the fight was over. Referee Blair Talmadge had seen enough. It was win number 15 without a loss for Ennis, who scored his ninth KO. The shopworn Davis fell to 20-24-5 (8 KO). 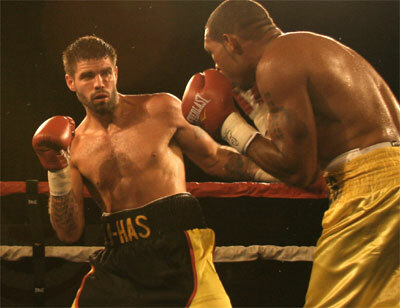 Kensington super middleweight Dennis Hasson fought for the first time eight months against Alberto Mercedes of Milwaukee. The time off spent rehabbing an injury apparently did Hasson some good. He started his sabbatical with an often passive amateur-like style, but came roaring out in this fight with a new and improved aggressive method of fighting. He looked good and swept all six rounds on my scorecard. One of the judges agreed (60-54), while the other two gave him five of the six (59-57). The unanimous decision made Hasson 10-0 with 3 KOs. Mercedes left 14-16-1 (10 KO). Hopefully this new page in Hasson's career will continue. The referee was Hurley McCall. The semi-windup pitted "Flawless" Anthony Flores of North Philadelphia against West Philly's Gustavo Dailey in a six round junior lightweight bout. Dailey had gone AWOL earlier in the day and missed the official weigh in. However, he surfaced later on and showed up for the fight on weight. So their show went on. Flores looked great in the bout, applying tons of pressure and landing heavy blows throughout the fight. 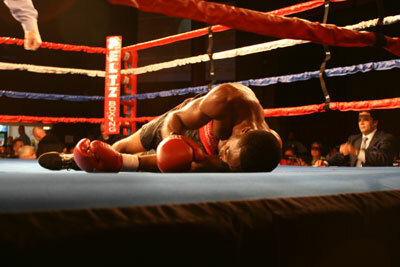 Flores hurt Dailey enough, especially with his left hook, in the second round to earn a 10-8 score on my card. 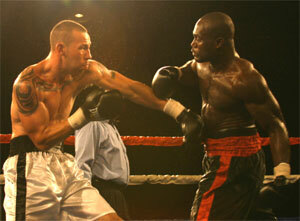 He continued to batter his 4-8 foe until round five when a big right hand dropped Dailey. Referee Blair Talmadge stopped the fight at 43 seconds of the fifth. 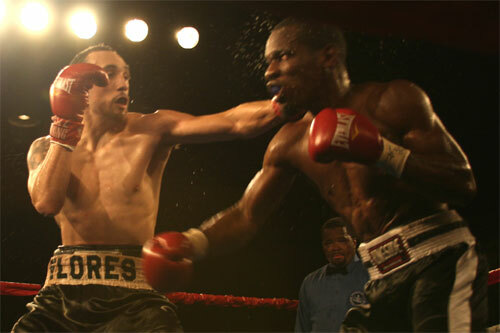 Flores pushed his record to 9-1-1 with 5 KOs. With the evening running slightly ahead of schedule, one of the scheduled walkout bouts was swung in just before the main event. North Philly's Andre Hemphill looked renewed in his six round light heavyweight bout with Youngstown, Ohio's Tony Pietrantonio. Having won just two of his last fourteen bouts, Hemphill needed to win this one. He did so easily, winning all but one round on my card and taking the official votes by scores of 59-54, 59-54 and 60-54. The win raised his shoddy record to 9-16-2 (5 KO). Pietrantonio lost his fifth in a row, dropping his record to 6-6 (5 KO). The main event came next. The one remaining bout on the card started immediately after Ennis-Rosado and had the enviable job of following that great marquee fight. South Philly cruiserweight Garrett Wilson did the only thing he could to try to top it. 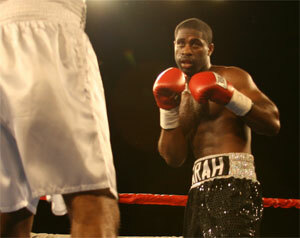 He came out blazing and scored a quick knockout over Reshawn Scott of North Philadelphia. The time was 1:29. The win made Wilson 8-5 with 3 KOs, and snapped a three-fight losing streak. Scott, 2-5, lost his third in a row. Although they could never compare to the successful main event, this set of preliminary fights were well matched and very entertaining. The nice mix of three decisions and four knockouts kept the evening moving well and helped to build excitement for the main event. Overall card staged by Peltz Boxing Promotions was a very good show.